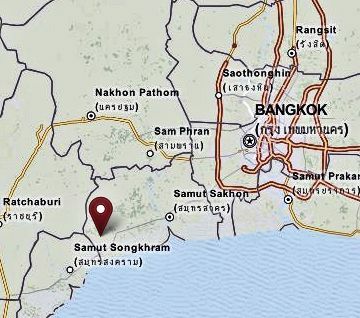 Verstärkung der Verteidigungsanlagen von Samut Prakan (สมุทรปราการ). Die Festung mitten im Chao Phraya (แม่น้ำเจ้าพระยา) ist fertiggestellt und mit ca. 200 Kanonen unterschiedlicher Größe bestückt. Auf beiden Seiten des Flusses sind lange Reihen von Befestigungsanlagen. Die Flussdurchfahrt ist eng eingeschränkt und nur im Zig-zag-Kurs möglich. 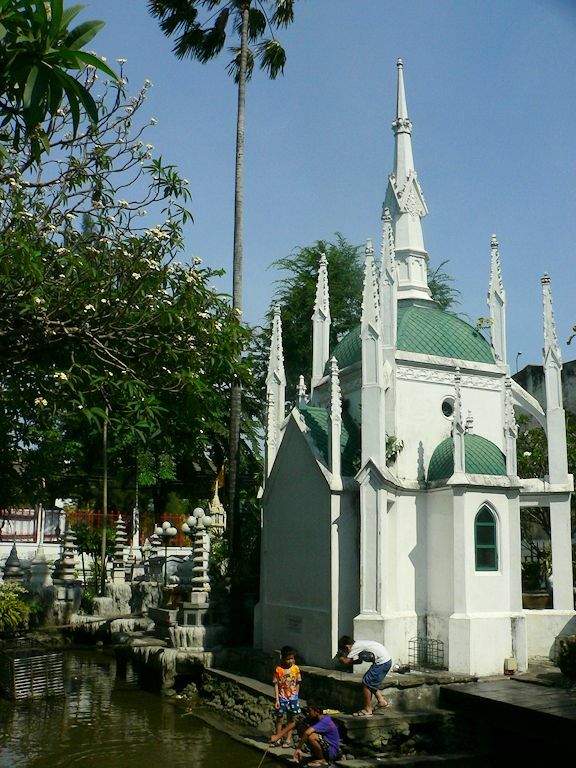 Bau einer Festung an der Mündung des Khlong Mahachai (คลองมหาชัย) in Samut Sakhon (สมุทรสาคร). Kosten der chinesischen Kulis 3800 Baht. Dort Ansiedlung von Mon-Flüchtlingen. Vertiefung des Khlong Sunak Hon (คลองสุนัขหอน) durch chinesische Kulis. Kosten der Kulis: 8176 Baht. "This nirat [นิราศ] was written by Sunthorn Phu on his Journey to Wat Phukhao Thong [ภูเขาทอง], in Ayuthia, during the reign of Rama III. 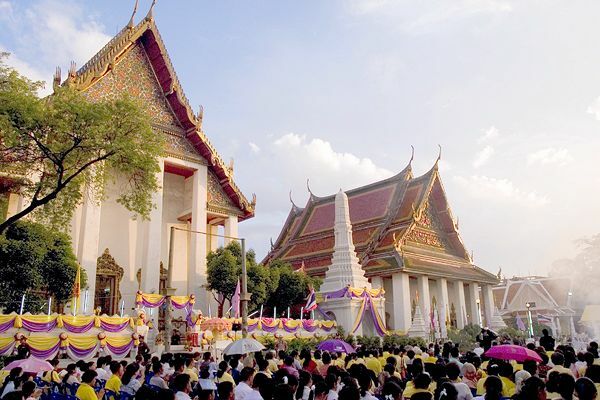 Each stop along the way evokes nostalgic memories from former days, the high favor of the former king, Rama II, which he had enjoyed, and old love affairs which are recalled but gingerly since, being out of favor with the new king, he has now become a monk." "The Revenue of the Siamese Government is derived from the following sources. Of all these, a short account will be necessary. A tax on the manufacture and vend of spirits distilled from rice is very general throughout the country. This tax is farmed [บ้ซี], and hence its amount has been ascertained with some accuracy, and was stated to me to be for the whole kingdom 460,000 ticals, or 57,500l. per annum. The amount of this tax was given to me for the following fourteen towns, which, as our means of obtaining information were so very imperfect, I give in detail with the view of pointing out their relative importance. 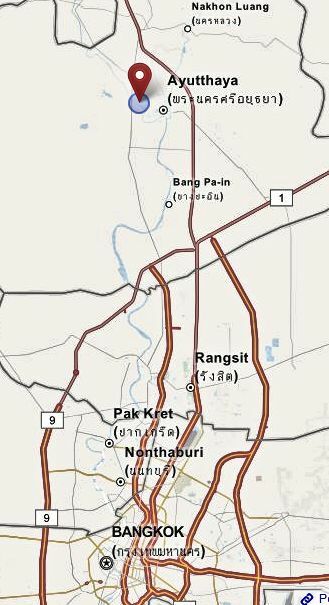 The tax at Bangkok amounts to 144,000 ticals; at Yuthia [อยุธยา], the old capital, to 48,000; at Sohai, to 8,000; at Tachin, to 8,000; at Raheng [= Tak - ตาก], to 8,000; at Kampeng [Kamphaeng Phet - กำแพงเพชร], to 8,000; at Chainat [ชัยนาท], to 1,000; at Lanchang [ລ້ານຊ້າງ], tbe capital of Laos, to 94,000; at Korat [โคราช], in Lao, to 16,000; at Kanburi, to 1,600; at Champon [Chumphon - ชุมพร], to 2,400; at Patyu [Petiu = Chachoengsao - ฉะเชิงเทรา ], to 1,600; at Chaia [Chaiya - ไชยา], to 640; and at Talung [Phatthalung - พัทลุง], to 2,400. Gaming is an offence against religion, as well as drinking. The revenue arising from licensing gaming-houses is farmed in the same manner as the tax on the consumption of spirits, and, according to the statement given to me, is at least equal to it in amount. The shop-tax is levied on the following rude and summary principle. a vender of tobacco, betel-leaf, and areca-nut, half a tical. Besides these, every boat used as a shop, of which there are many on the Menam, pays yearly, whatever may be the commodity dealt in, two ticals. This tax is also farmed, and its yearly amount at the capital is 64,000 ticals. If its amount in the provinces bear the same proportion as the tax on spirits and gaming» which is probable, its total amount would be 121,880 ticals, or in sterling money 15,283l. and in a third, receiving it in the shape of a tax or contribution. These are so blended and mixed up with each other, that it is impossible to define their limits. Tin, ivory, cardamums, eagle-wood, gamboge, esculent swallows' nests, the eggs of the green turtle, and sapan-wood, may be viewed as royal monopolies; whilst sugar and pepper are articles which the subject is permitted to deal in,—the Government securing to itself as much of them as it desires at low prices, for which advances are made to the cultivator, labourer, or merchant. To render any full or complete account of these sources of revenue would be impossible, but I shall lay before the reader such notices in regard to them as came under my observation. 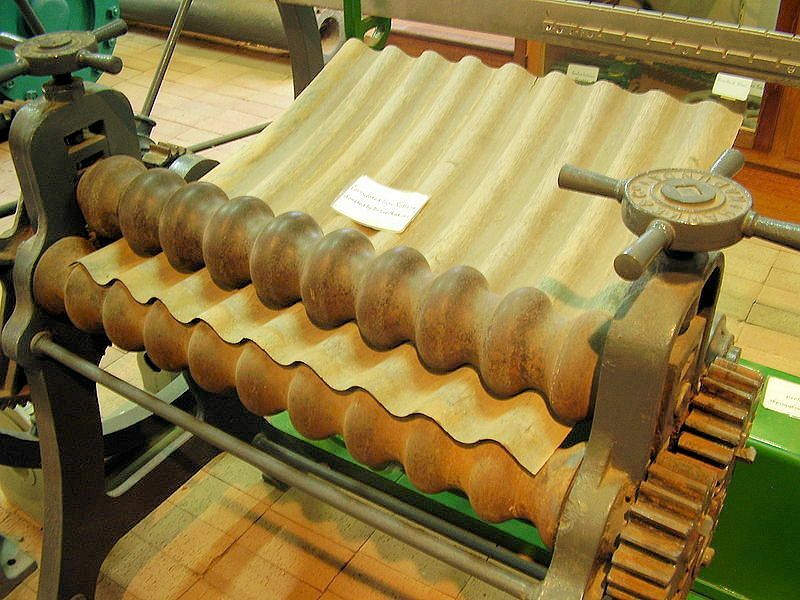 Of the first article, tin, 4000 piculs are received into the King’s warehouses, worth at Bangkok, at a moderate average, about twenty-seven ticals per picul, making 108,000 ticals. Not more than one-half of this can be considered as a net revenue, after deducting the advance made to the miners, the charges of superintendence, and the expenses of the distant transport from Junk Ceylon [Phuket - ภูเก็ต], Talung [Phatthalung - พัทลุง], and other places where it is obtained. This will amount in sterling money to 6750l. The quantity of ivory delivered to the King is 400 piculs a-year, and as it is given in as a tribute, free of expense, it is nearly a neat revenue, and will amount, at the average of 100 ticals for each picul, to 40,000 ticals, or 5000l. Of the value of the revenue derived from Cardamums, I have not been able to obtain any account; and the same observation applies to Sapan-wood—in bulk, at least, one of the most considerable articles of exportation from Siam. The King’s monopoly price of this last commodity is four ticals per picul; but I am unacquainted either with the prices paid to the wood-cutters, or the quantity disposed of at the settled price now quoted. Eagle-wood, or wood of aloes, is an object of strict monopoly, and 100 piculs of it are delivered annually to the King, free of expense, worth, at an average of its different qualities, 450 ticals per picul, and therefore affording a neat revenue of 45,000 ticals, or 5625l. Four hundred piculs of gamboge are paid to the King as tribute, worth sixty ticals a picul, giving a revenue of 24,000 ticals, or 3000l. From esculent swallows' nests, which constitute an invariable subject of monopoly with the government of every country in which they are found, the Siamese Government derives, I was informed, a revenue of about 100,000 ticals a-year, or 12,500l. 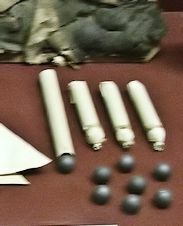 The eggs of the turtle afford only 5000 ticals, or 625l. According to a statement which the minister, Suri Wung Kosa, furnished me with, 40,000 piculs of pepper, are annually paid into the Royal magazines, for which the Government pays to the cultivator eight ticals a picul, besides the charge of conveying it from the east coast of the Gulf, to Bangkok. It sells for twenty. This would probably leave a profit of about ten ticals on each picul, or 400,000 for the whole amount, —50,000l. For sugar of the best quality,, the Siamese Government pays to the manufacturer about seven ticals a picul, and at this rate it may have any quantity required. It commonly receives about 35,000 piculs a-year, which is easily disposed of in ordinary times at ten ticals a picuL The difference is a revenue of 105,000 ticals, or 13,125l. 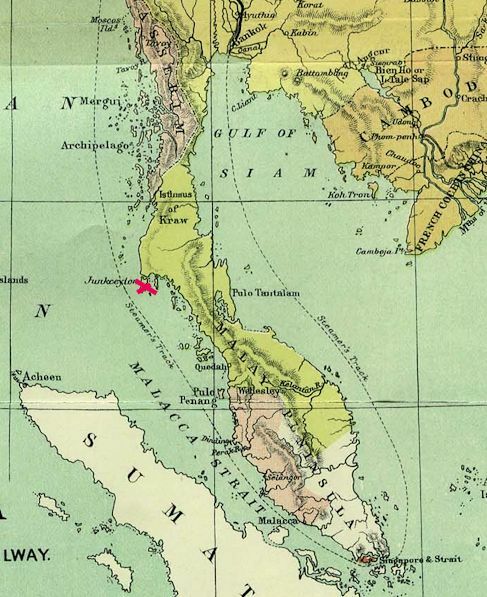 I possess no data for estimating the profits made by the Siamese Government on its foreign adventures to China, Java, or the Straits of Malacca; but it is probable, from the great impositions practised by the Chinese commanders, and other persons employed, and the frequent shipwrecks which are known to take place, that they are very trifling. The imposts consist of a duty on the measurement or dimensions of the vessel, an ad valorem duty upon imports, and a rated tarif in most cases, with an ad valorem duty in a few, on exports. The first-named class of vessels, viz. the large junks trading with the principal ports of China, pay no measurement or import duties, because these are vessels belonging to’ the King, or to the Princes, or such courtiers whose perquisite it is to be licensed to engage in this branch of trade. The Hai-nan [海南] junks pay forty ticals per Siamese fathom, on the extreme breadth of the vessel. The junks trading to the Malay countries, in lieu of measurement duty, pay one hundred and thirty ticals each, without regard to size. Neither of these vessels pay import duties. The measurement duties on European vessels is estimated at one hundred and eighteen ticals per fathom, besides an inconsiderable impost in the form of an anchorage fee. The cargoes of these alone pay an import duty, which is reckoned at eight per cent, ad valorem levied in kind. The tarif on exports is imposed indiscriminately on all classes of vessels, and the following are some of the particulars of it. 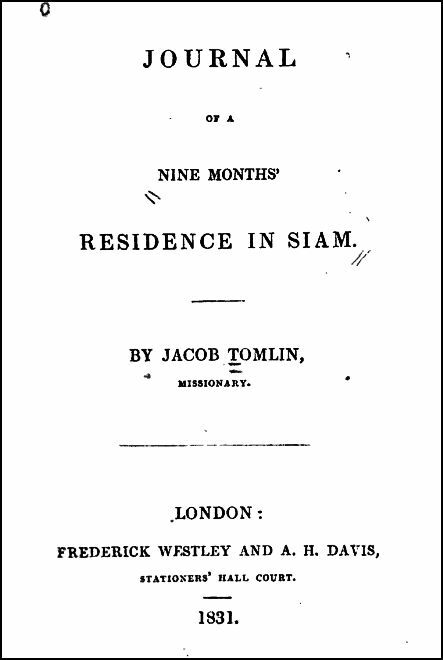 [...]"
Tomlin, Jacob <1793 - 1880>: Journal of a nine month' residence in Siam. -- London : Westley & Davis, 1831. -- 151 S.
"In the evening went with Mr. H. [Robert Hunter] to the Phra Klang, in order to obtain his consent to dwell with the China-man. The Phra Klang waved giving any answer for some time, and conversed with Mr. H. and the captain of a Dutch ship about some guns, nine and seven- pounders. After awhile he expressed his desire to hear me preach. Objecting my ignorance of the Siamese, he said I might preach to Hunter. He then asked me how and by whom I was authorised to preach? What were our articles of belief? 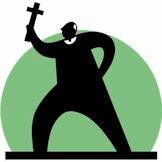 On mentioning some of the most important doctrines of the gospel, as the ground of our faith, the, Phra Klang, turning to the captain of the port, said, "If they (the Protestants) believe in the same God and Saviour Jesus Christ as the Catholics, replied, "Protestants take wife !" He then asked what caused the cholera morbus (that disease having raged with much virulence a few years back in Siam). On referring him to the righteous and sovereign will of God, in dispensing good and evil to nations and individuals, he said "If the God of heaven be the friend of Christians and not of idolaters, why did he afflict the Christians as well as the Siamese with cholera?" and, "Why not destroy the Siamese who worship other gods?" Mr. H. replied, " They are spared till they hear his word, now sent to them by his servants."" "Jacob Tomlin (* 28. Oktober 1793 in Standen Hall, Lancashire; † 5. September 1880) war ein protestantischer Missionar, der unter anderem in Siam und während der Qing-Dynastie (清朝) in China wirkte. Jacob Tomlin war der Sohn von John Tomlin aus North Riding, Yorkshire, und Tabitha Rawthorne. Seine Ausbildung erhielt er am St. John's College, Cambridge. 1826 ging Tomlin für die London Missionary Society nach Malakka. 1828 und 1829 hielt er sich neun Monate in Siam auf und verfasste einen Bericht über seine Erlebnisse, u. a. zu den Vorkommnissen um König Anuvong (ເຈົ້າອານຸວົງສ໌) von Vientiane (ວຽງຈັນ). 1836 kehrte er nach England zurück. 1845 wurde er Hilfsprediger in Liverpool, später in Yorkshire und Derbyshire. In den 1860er Jahren wurde er Vikar in Irchester, Northamptonshire, und blieb dort bis 1877. Jacob Tomlin starb 1880 in Irchester und hinterließ zwei Töchter, Emily und Harriet, die beide in Malakka geboren wurden. Missionary Journals and Letters. London 1844, aufrufbar als PDF bei University of Hong Kong Libraries (letzter Zugriff am 14. Mai 2010)"
Der Deutsche Johann Nikolaus von Dreyse (1787 - 1867) erfindet das Zündnadelgewehr. Damit lassen sich Papierpatronen abfeuern. Der Londoner Baumeister Richard Walker gründet eine Fabrik zur Wellblech-Herstellung. Dem deutschen Chemiker Friedrich Wöhler (1800 - 1882) gelingt mit der Synthese von Harnstoff (CH4N2O) erstmals die Herstellung einer organischen (tierischen) Substanz. Beginn des Zeitalters der organischen Chemie. Die ersten protestantischen Missionare kommen nach Siam: Karl Gützlaff (1803 - 1851) und Jacob Tomlin (1793-1880). Sie wohnen beim portugiesischen (d.h. katholischen) Konsul Carlos de Silveira. "These were the first Protestant missionaries to set foot on Siamese soil. 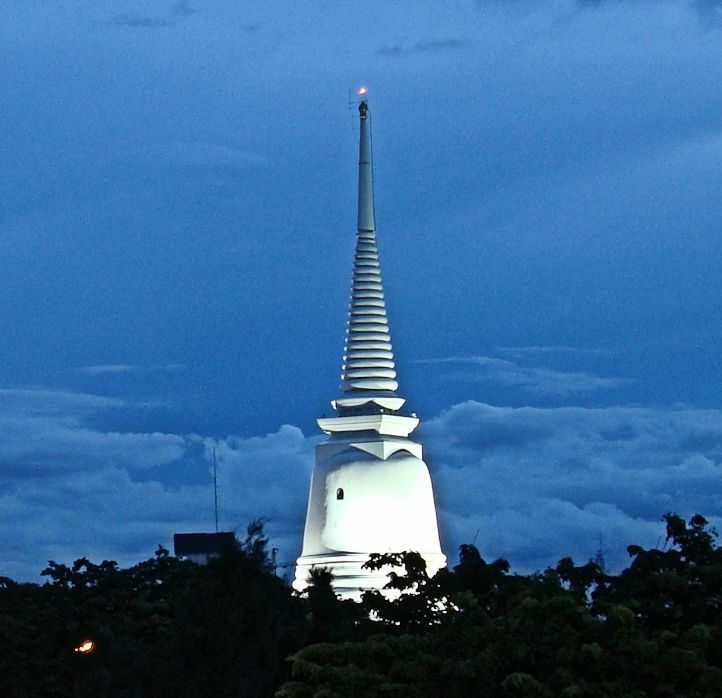 They resided in Bangkok, and were allowed by the king to work amongst the Chinese. Strange to say, their best friend and the one from whom they received the greatest kindness was a Roman Catholic, the Portuguese Consul, Seignior Carlos de Silveira, who furnished them with a house on the Government property, and even protected them later when the Jesuits sought their expulsion. Dr. Gutzlaff opened a dispensary, where he healed the sick and did missionary work at the same time. He and Mr. Tomlin distributed twenty-five boxes of books in about two months ; but this raised the suspicions of the natives, and they charged the missionaries with being spies, who intended to incite the Chinese to rebellion. The king, thinking the books were the main cause of alarm, ordered specimens to be translated, but finding nothing harmful, the missionaries were permitted to remain ; they then began translating the Scriptures, and appealed to the American Churches, and to Dr. Judson in Burma, for missionaries for Siam. The next year Dr. Gutzlaff went to Singapore to have part of the Gospels printed in Siamese characters. He married there a Miss Newell, of the London Missionary Society, who, returning to Bangkok with her husband, was the first woman to undertake missionary work in Siam. She helped her husband in the work of translating the Scriptures into Siamese ; but her health gave way, and the following year she and her baby were put to rest in "God's acre." During Dr. Gutzlaff's three years in Siam he, in conjunction with Mr. Tomlin, translated the whole Bible into Siamese, a considerable portion of it into the Laosian and Cambodian languages, and also prepared a dictionary and grammar of Siamese and Cambodian." "Karl Friedrich August Gützlaff (in angelsächsischer Literatur meist Gutzlaff; * 8. Juli 1803 in Pyritz; † 9. 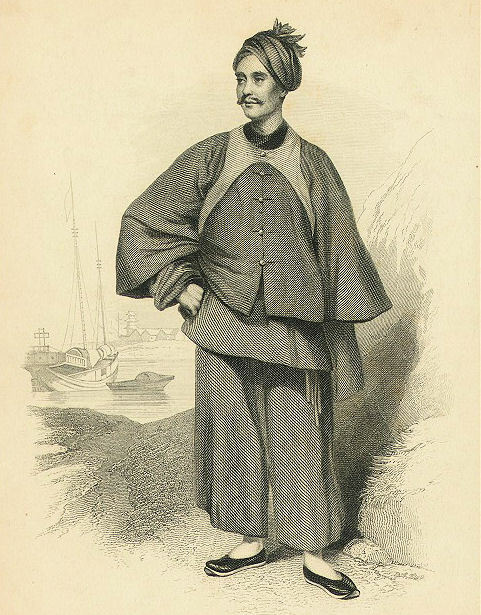 August 1851 in Hongkong) war ein deutscher Missionar, der vor allem in Fernost wirkte. Gützlaff war der Sohn eines Schneiders. Seine Mutter starb, als Karl Gützlaff vier Jahre alt war. Er wurde pietistisch von den Franckeschen Schulen in Halle geprägt. Nach dem Besuch der Volksschule begann er eine Lehre als Sattler; 1816 kam er nach Stettin. Er interessierte sich für den Glauben, hatte aber noch keine Bekehrung erlebt. 1820 kam er mit König Friedrich Wilhelm III. in Kontakt, dem er bei dessen Besuch in Stettin ein selbst verfasstes Gedicht überreichte und der für seine Unterstützung sorgte. Karl Gützlaff trat im April 1821 in die vom König unterstützte Missionsschule von Pastor Johannes Jänicke in Berlin ein, die von der herrnhutschen Frömmigkeit geprägt war. 1821 bekehrte er sich nach inneren Kämpfen zu Jesus Christus. Er war jetzt ein brennender Jünger Jesu, der von seinem Herrn und seinem Kreuz redete. Er wurde stark von Professor August Tholuck geprägt. Er studierte fleißig Sprachen. Von 1823 bis 1826 setzte er seine Ausbildung in Rotterdam fort und lernte dabei niederländisch und malaiisch, um sich für den Missionsdienst in Niederländisch-Indien vorzubereiten. Auch in türkisch und arabisch erwarb er in Holland Kenntnisse. 1827 schickte ihn eine holländische Missionsgesellschaft nach Batavia. Hier lernte er die Chinesische Sprache. Er arbeitete mit dem britischen Missionar Walter Medhurst zusammen, der den an China sehr interessierten Gützlaff ermutigte, seine China-Studien zu vertiefen. 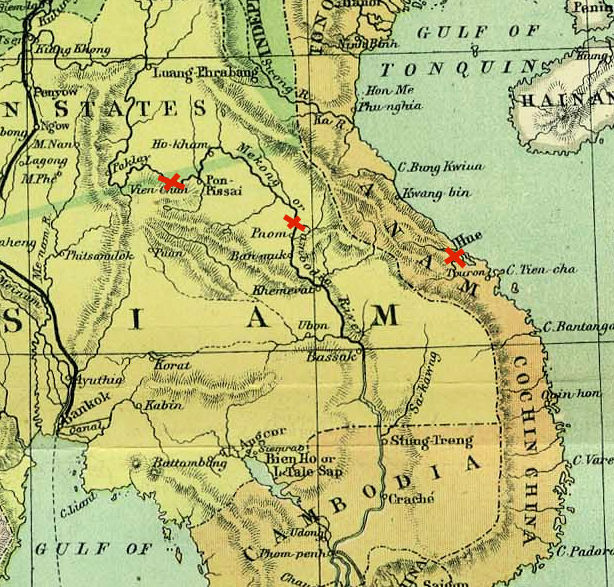 1828 verließ er die Gesellschaft wieder und ließ sich auf der Insel Bintan vor Singapur nieder und gründete eine Krankenstation, später ging er nach Bangkok. Sein Sprachgenie zeigte sich, als er die Bibel ins Siamesische übersetzte. Später beherrschte er auch diverse chinesische Dialekte, z. B. Mandarin, Kantonesisch, Fuijan usw. Er gab sich einen chinesischen Namen. 1830 heiratete er die Engländerin Mary Newell, die er von der Bibelschule London Missionary Society in England her kannte. Er begann die Bibel in weitere fernöstliche Sprachen zu übersetzen und gab sowohl ein chinesisches als auch ein japanisches Wörterbuch heraus. Als seine Frau 1831 im Wochenbett starb, war er wieder auf sich allein gestellt. 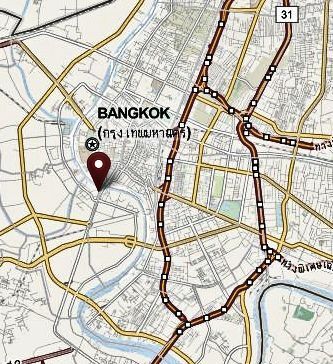 Als Freimissionar ging er von Bangkok nach Macao und nach Hongkong und gelangte als erster Europäer nach Shanghai. Nach einer Seereise mit dem britischen Handelsschiff Lord Amherst betrat er am Nachmittag des 17. Juli 1832 als erster Deutscher Korea und war gleichzeitig der erste protestantische Missionar in diesem Land. Er stellte sich Handelsgesellschaften als Dolmetscher zur Verfügung, so dem Handelshaus Jardine-Matheson und 1835 der Britischen Ostindien-Kompanie (British East India Company). Er nutzte diesen Kontakt zu missionarischen Tätigkeiten, z. B. der Bibelverbreitung usw. 1834 trat er in britische Dienste, wurde Chinesischer Sekretär beim Britischen Gouverneur in Hongkong und war Dolmetscher bei den Vertragsverhandlungen des ersten Opiumkrieges gegen China (1840-42) auf britischer Seite. Gützlaff begann gefahrvolle Reisen ins Innere Chinas zu machen. Er war entschlossen, notfalls unter Todesgefahr nach China zu gehen und zu evangelisieren. Er begann auch in chinesischer Kleidung zu arbeiten, gab sich einen chinesischen Namen; eine Straße in Hongkong wurde nach ihm benannt. Als die chinesische Regierung Ausländern den Zugang zum Landesinnern verbot, gründete Gützlaff 1844 eine Schule für chinesische Missionare. In den ersten vier Jahren wurden dort fünfzig Einheimische ausgebildet. Manche der Missionare nutzten jedoch Gützlaffs Gutmütigkeit aus. Es waren Opiumsüchtige, die auf leichtverdientes Geld aus waren. Sie reisten nicht ins Landesinnere, um dort zu evangelisieren, sondern nutzten das ihnen anvertraute Geld für eigene Zwecke. Bei ihrer Rückkehr brachten sie Berichte über zahlreiche Bekehrungen, die sie im Landesinneren bewirkt hätten. Die Neuen Testamente, die Gützlaff den Einheimischen mitgegeben hatte, hatten sie an die Druckerei zurückverkauft. Diese wiederum verkaufte sie erneut an Gützlaff. Mitte Dezember 1849 kehrte Gützlaff zu einer längeren Reise durch Europa zurück, auf der er Vorträge hielt. Im Mai 1850 kam er im Rahmen der Reise nach Deutschland. In seiner Geburtstadt Pyritz wurde ihm am 11. Juni 1850 die Ehrenbürgerwürde verliehen. Auch von König Friedrich Wilhelm IV. wurde er empfangen. 1851, kurz nach seiner Rückkehr nach China starb er am 9. August 1851 in Hongkong. Hudson Taylor erfuhr später, wie sehr es seinem Vorgänger zu schaffen machte, als er erfuhr, wie er systematisch beschwindelt worden war. Die wenigsten seiner chinesischen Evangelisten hätten außerhalb Kantons gearbeitet und die meisten Berichte seien in Opiumhöhlen entstanden. Sein Epitaph liegt im Happy Valley Cemetery in Hongkong-Mitte. Mit Robert Morrison zusammen ist er wohl der Wegbereiter für Hudson Taylor gewesen, der ihn den 'Großvater der chinesischen Inlandsmission' nannte. Durch seine vielfältigen publizistischen Tätigkeiten und für damalige Verhältnisse außergewöhnlichen Chinabeschreibungen wurde er in Europa weithin bekannt; auch Karl Marx zitierte ihn im Januar 1850 bei einer Betrachtung sozialer Verhältnisse Chinas. Thoralf Klein und Reinhard Zöllner (Hrsg. ): Karl Gützlaff (1803-1851) und das Christentum in Ostasien. Ein Missionar zwischen den Kulturen. Steyler Verlagsbuchhandlung, Nettetal 2005. ISBN 3-8050-0520-2. Hartmut Walravens: Karl Friedrich Neumann (1793 - 1870) und Karl Friedrich August Gützlaff (1803 - 1851). Zwei deutsche Chinakundige im 19. Jahrhundert. Harrassowitz, Wiesbaden 2001. ISBN 3-447-04392-X. Winfried Scharlau (Hrsg. ): Gützlaffs Bericht über drei Reisen in den Seeprovinzen Chinas 1831-1833. Abera Verlag, Hamburg 1997. ISBN 978-3-934376-13-7. Marianne Winner-Lüdecke: Karl Gützlaff - ein vergessener Rufer?. Verlag der Liebenzeller Mission, Bad Liebenzell 1981. Hermann Schlyter: Karl Gützlaff - als Missionar in China. Gleerup, Lund 1946. 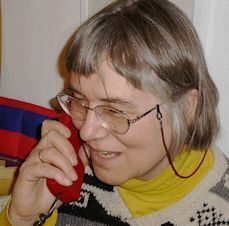 Sylvia Bräsel: Ein Mittler zwischen Ost und West: Karl Friedrich August Gützlaff - der erste Deutsche in Korea in: Baltische Studien, Neue Folge, Band 89, Verlag Ludwig, Kiel 2004, ISBN 3-933598-95-8, S. 137–150. Hermann Petrich: Gützlaff, Karl. In: Allgemeine Deutsche Biographie (ADB). Band 10, Duncker & Humblot, Leipzig 1879, S. 236 f.
H. und G. Taylor: Hudson Taylor. Ein Lebensbild. Emil Müllers Verlag, Barmen 1924. Paik Lak-Geeon: The History of Protestant Missions in Korea 1832–1910, Pjöngjang 1929. Robert Blake: Jardine-Matheson - Traders of the Far East, Weidenfeld & Nicolson, London 1999, ISBN 0-297-82501-1. H. und G. Taylor, "Hudson Taylor. Ein Lebensbild". Band 1. Emil Müllers Verlag: Barmen 1924. S.68. Grafik seines Epitaphs in Hongkong siehe "http://upload.wikimedia.org/wikipedia/en/e/e8/Gutzlaff.JPG"
"American Presbyterianism has now become so synonymous with Protestant missions in Siam that it is surprising to learn that the first two Protestant missionaries were a German and an Englishman, Carl Gützlaff and Jacob Tomlin. They left Singapore together in 1828 and were befriended at Bangkok by the Portuguese consul, who did so much to aid the first European visitors to Siam in the nineteenth century. The attitude of the officials they interviewed was discouraging, though not actively hostile; and they were given permission to live in the capital and labor among the Chinese. The king became almost friendly when he learned that England would remain neutral during the Kedah war. Although this engendered a friendly attitude towards the missionaries on the part of all classes of people, their lavish distribution of tracts and Bibles in Chinese soon caused the Government to become suspicious. This was partly due to the fact that local tradition predicted that a religion from the West would one day vanquish Buddhism. The authorities became alarmed, and the tracts were translated to see if they contained anything subversive. 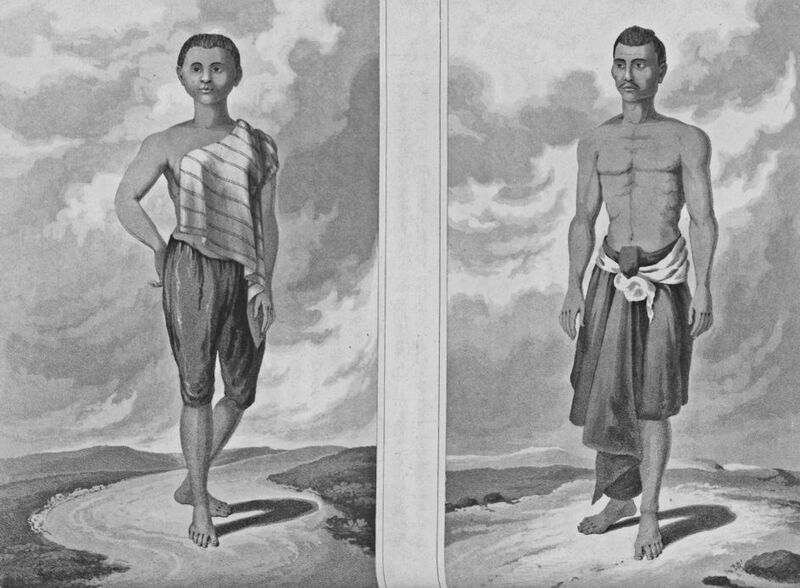 Thereafter only the Chinese were allowed to take the risk of receiving foreign medical treatment, and Siamese were forbidden to see the missionaries or to read their books. The Phraklang went so far as to ask Robert Hunter to take them out of the country, but he later permitted them to remain after they had threatened to complain to the English authorities. After his first few months in Siam, Güutzlaff became so enthusiastic about the country as a mission field that he tried to interest different Western churches in its evangelization. As neither the Dutch society, with which he was associated, nor Tomlin’s London connections were able to undertake a sustained effort, he sent an appeal to America in 1829. After three more years in Bangkok, during which he translated some of the scriptures and wrote a Siamese dictionary, Gützlaff became ill and discouraged. He found the Siamese fickle and regretted not to have found a single honest man among them; but at any rate he thought them morally superior to the more bigoted and sanguinary Malays. Buddhism was so much a State religion and so interwoven with all the country’s institutions that it was virtually invulnerable. Nevertheless, during his brief stay, Gützlaff had sown the seed; he succeeded in converting a Chinese named Boon-Tee, who was destined to render great services to Siamese Christianity." "When they [die Chinesen] enter into matrimonial alliance with the latter [Siamese], they become Siamese in every respect ... 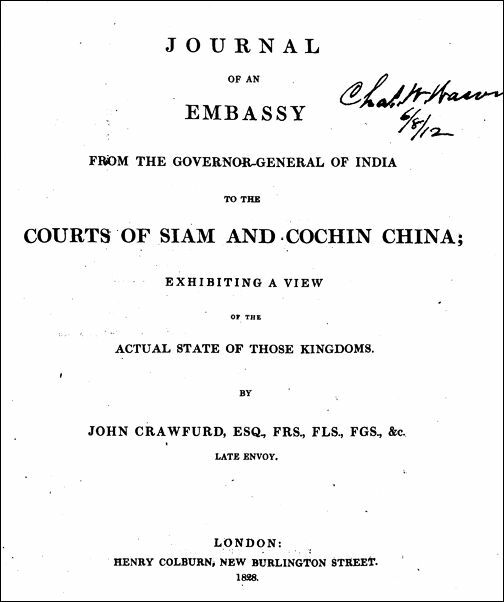 Within two or three generations all the distinguishing marks of the Chinese dwindle away and a nation which adheres to its national customs so obstinately becomes wholly changed to Siamese ... one reason is that Chinamen here take Siamese, Burman, Laos and other country women for wives whose prejudices are even stronger than those of the Chinese themselves." "The Chinese cringe before their oppressors and pay a heavy tax for being exempted from military and corvée services by labouring from morning to night to feed their insolent and haughty tyrants, who think it beneath their dignity to earn their bread by their own efforts." Phra Wichit Songkhram [พระวิชิตสงคราม] ist Kommandeur einer Flussflotte in Nakhon Phanom [นครพนม]. Eine vietnamesische Delegation kommt und bittet ihn um einen Transitpass, um Anuvong (ສົມເດັຈພຣະເຈົ້າ​ອານຸວົງສ໌ - เจ้าอนุวงศ์, 1767 - 1829), dem abgesetzten König von Vientiane (ວຽງຈັນ) einen Brief zu überbringen. 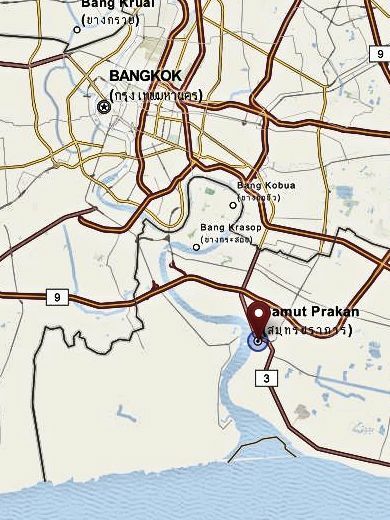 "The experience of Phra Wichit Songkhram [พระวิชิตสงคราม], a Thai officer, reveals some of the regional distrust and disequilibrium.14 Since the 1827 campaign, Phra Wichit Songkhram had commanded a river fleet based at Nakhon Phanom [นครพนม]. In late August 1828, a Vietnamese embassy came to ask him for a pass so they could deliver a letter to Anou [ສົມເດັຈພຣະເຈົ້າ​ອານຸວົງສ໌ - เจ้าอนุวงศ์, 1767 - 1829], who by this time had left Vietnam and returned to Vientiane [ວຽງຈັນ]. This letter reflected recent negotiations between Hué and Bangkok over Vientiane's status as Bangkok's tributary. It emphasized Minh Mang's [Kaiser Minh Mạng / 明命, 1791 - 1841]position that Anou must ask for Rama III's pardon and must request a return to his pre-1827 status as a vassal of Siam. In this manner, the court of Hué [化/Huế] was attempting to return to its traditional policy of recognizing Laos as Siam's vassal and, at the same time, acknowledging the de facto autonomy Laos often enjoyed. 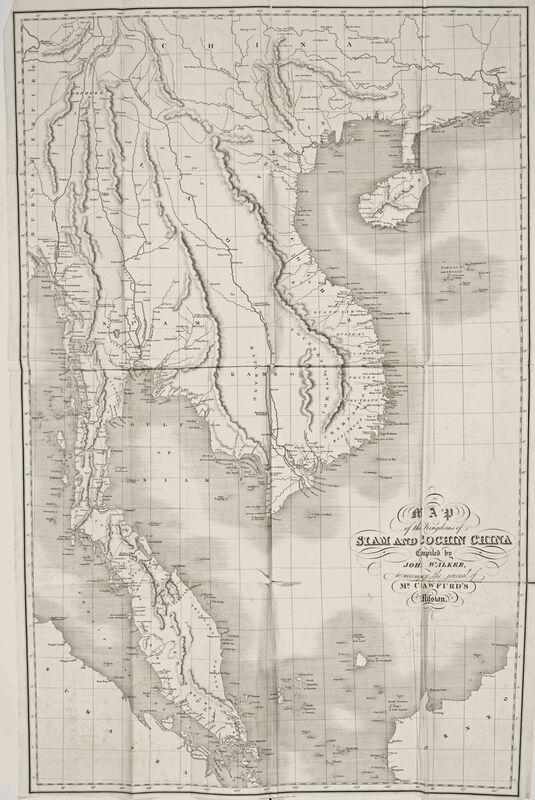 Simultaneously, this letter demonstrated Hué's attempts to adapt itself to the shift in the regional power balance resulting from Siam's victory over Anou. 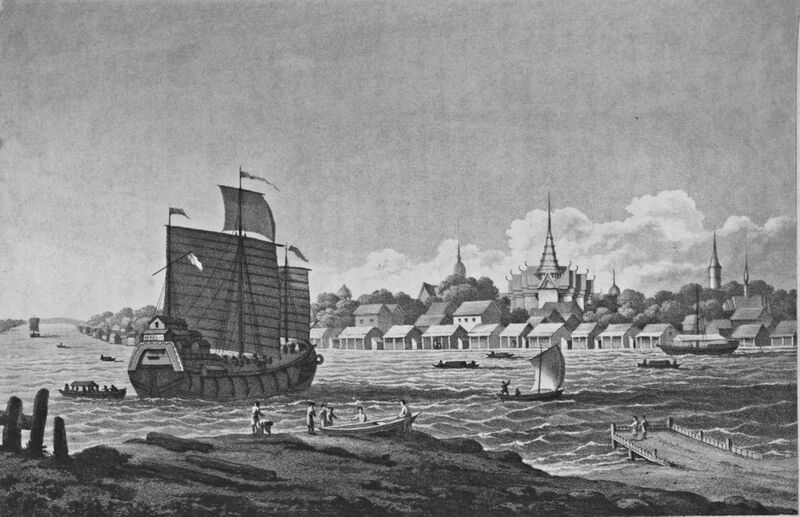 When Phra Wichit Songkhram informed Bodin [Chao Phraya Bodindecha - เจ้าพระยาบดินทรเดชา = Sing Singhaseni - สิงห์ สิงหเสนี, 1777 – 1849] of this relatively conciliatory letter, Bodin was furious that the river fleet commander had allowed the Vietnamese embassy to reside with him as they awaited permission for safe passage. His anger stemmed from the recent ambush of Siamese troops in Vientiane by Anou, for Bodin believed that Vietnamese envoys who had accompanied Anou when he reentered Vientiane had instigated that ambush. Bodin charged Phra Wichit Songkhram with "saving the lives of the Vietnamese emissaries while the Siamese garrison cantonned in Vientiane had been lured by the envoys from the court of Hué and killed in cold blood by Anou." Stirred up by Bodin's indignant fury, Phra Wichit Songkhram invited the group of Vietnamese emissaries waiting near him to come to the Siamese camp for a meal. As the Vietnamese sat down to eat their food, they were shot at point-blank range by sharpshooters. Those surviving were put to the sword, with the exception of two Lao interpreters who managed to escape and report the massacre to officials from the court of Hué. When Rama III heard about the attack, he opined that the slaughter was inadequate because it had resulted in the deaths of only thirty Vietnamese—Vietnamese diplomats, collaborators, and their Lao guides—as compared to the hundreds of Siamese who had been "assassinated" in Vientiane by Anou some weeks before." 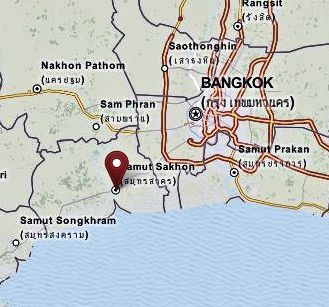 Großfeuer in Bangkok zerstört fast 1500 Häuser.